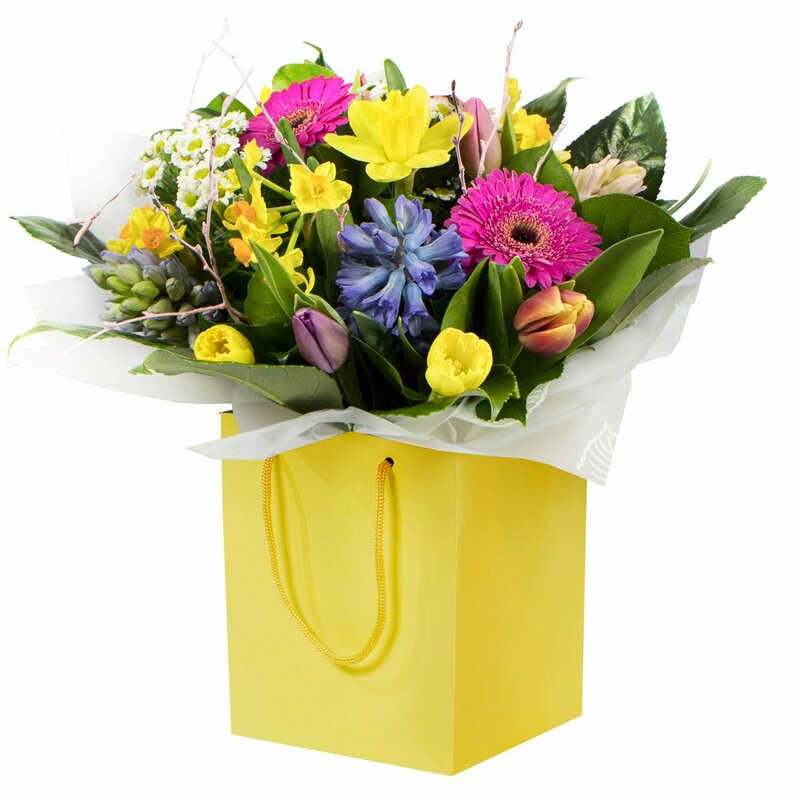 A vibrant collection of fresh flowers with a touch of spring. Delivered in a complimentary gift box / bag. Make it a Happy Mothers Day and show her how much she means to you.